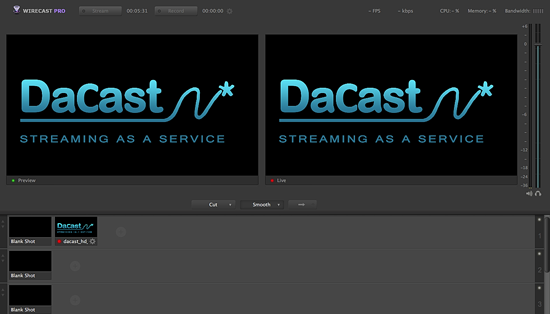 Please note: HTML5 streams require version 5.0.3 of Wirecast. 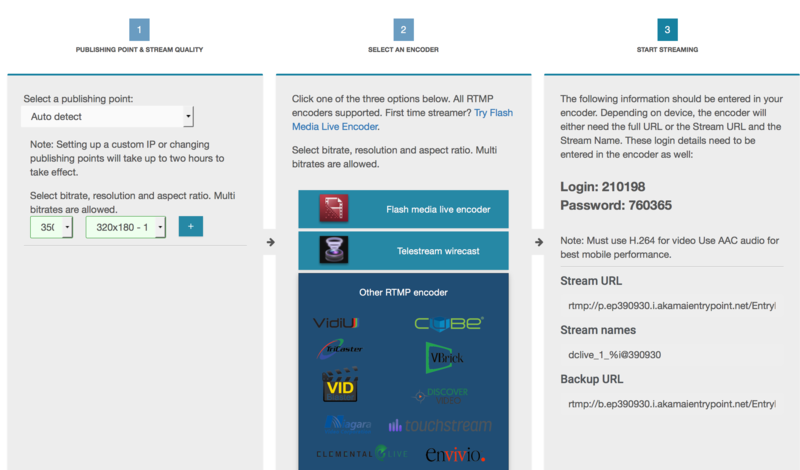 Click on your channel and go to the ENCODER SETUP. Once there, you can choose the bitrate, the resolution and aspect ratio you prefer (click on the + sign to add more bitrate). Once you have set the bitrate(s) and aspect ratio(s), click SAVE and then NEXT STEP. When the window opens, you will be asked to “Select an Output Destination”. The destination should be “RTMP Server.” Click OK. Enter the stream URL under ADDRESS, and the stream name under STREAM. Enter the 6-digit login and password in SET CREDENTIALS. At this point, make sure that the stream is correctly set up for HTML5. To do so, click on the clockwork icon near the ENCODING dropdown and choose EDIT or NEW PRESET. Back in the OUTPUT SETTINGS window, click OK.
You are now ready to stream! Click STREAM to get started.